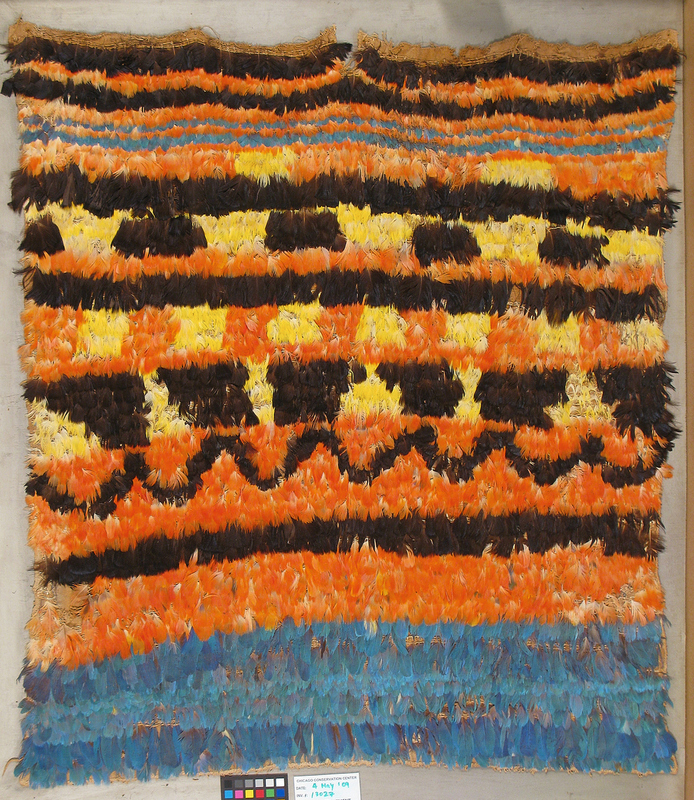 The Textile Department conserves fine art, ethnographic, sentimental, and domestic textiles. This department aims to preserve each item to ensure its long-term stability. The Textile Department at The Conservation Center specializes in the preservation of a wide range of fabric and fiber-based items which include tapestries, embroideries, flags, samplers, costumes, quilts, and weavings. Most damage to textiles is age-related; over time, works may discolor, fade, darken, and deteriorate causing splits and losses in the material. 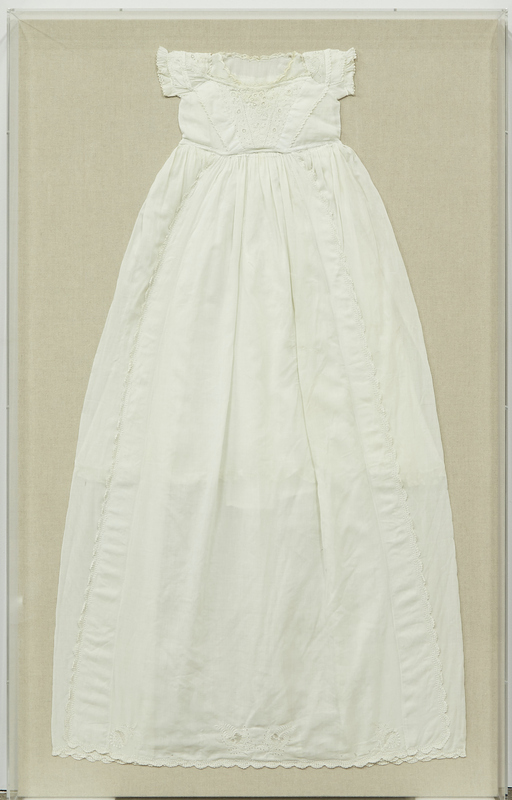 The conservator stabilizes the textiles using delicate stitching and conservation mounting, where applicable. In addition to stabilizing works, the conservator cleans textiles using appropriate methods and materials for the medium. Following treatment, custom vitrines and displays can be designed by the Framing and Display Department to ensure attractive and proper long-term display of newly conserved textiles. Items can also be boxed for long-term storage using conservation techniques and archival materials. lAVALAVA. yAP aRTISANS. WOVEN PLANT FIBERS. age-related damage. INca Feather Weaving. Feathers and Wool. Age-Related Damage. Christening Dress. Cotton. Age-related Damage. Torah Cover. Embroidered Silk. Age-Related Damage. Sampler, April 22, 1836. Wool Thread on Linen. Age-Related Damage. When Marshall Kath, a private collector in Dallas, took note of a 2009 Sotheby’s Fine European Furniture and Antiques auction in New York City, he was looking for a piece that would spark conversation. Mr. Kath eventually purchased an attention commanding, 10 ft by 9.5 ft historic 17th-century tapestry that does just that. Titled A Brussels Old Testament Tapestry Depicting the Joseph Interpreting the Pharaoh’s Dreams, From a Series of The Story of Joseph, the tapestry was commissioned by either a royal family as a way of depicting a peaceful, serene life, or a church as a visual representation of significant elements of a particular faith; in this case, Jewish or Christian. A Brussels Old Testament Tapestry arrived at The Conservation Center in very fragile, yet relatively good condition, considering it was produced in the 1600s.